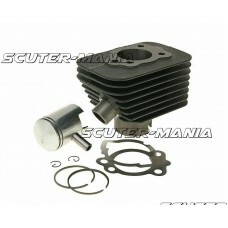 Replacement 50.6mm 100cc cast iron cylinder kit for Peugeot 100cc 2 stroke scooters as listed. 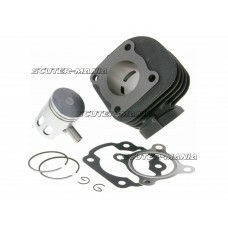 Excel..
125cc Cylinder kit for all 125cc 4 stroke Chinese scooters which use the GY6 152QMI engines.An ideal..
150cc Big bore cylinder kit for liquid cooled Honda 150cc 4 stroke and Keeway Outlook and Tell 150cc..
Cylinder kit for Honda Helix CN 250cc. 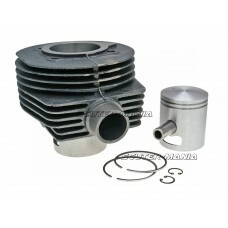 Comes complete with piston, gaskets and clips.Fits many CF MO..
Aftermarket 50cc aluminium cylinder kit with hard chrome-plated liner coating. This construction is .. 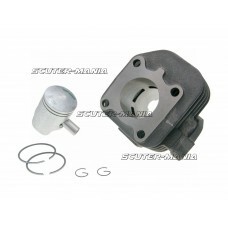 Inexpensive alternative to the original cylinder. 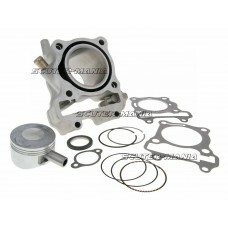 This precisely machined aluminum cylinder with har..
Good quality 50cc standard grey cast iron cylinder kit from Italkit. E.g. 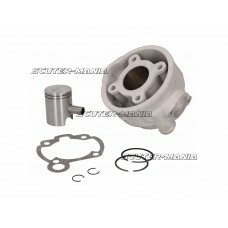 for Keeway, Generic, CPI s.. 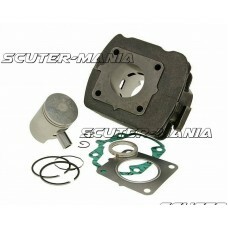 Very robust and slightly more powerful 50cc grey cast iron cylinder kit for air-cooled Honda engines.. 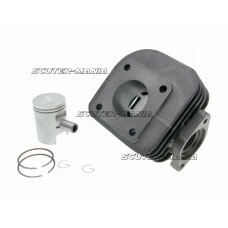 Very robust and slightly more powerful 50cc grey cast iron cylinder kit for air-cooled Hyosung engin.. 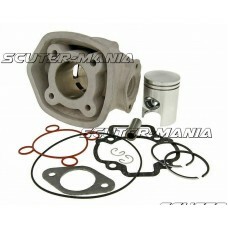 Very robust and slightly more powerful 50cc grey cast iron cylinder kit for air-cooled engines. 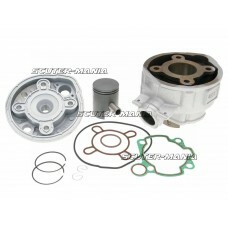 A go.. 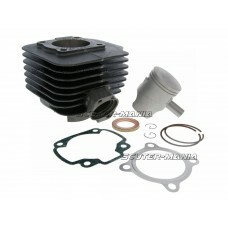 Replacement cylinder kit with cylinder head for generic Trigger and equivalent mopeds. 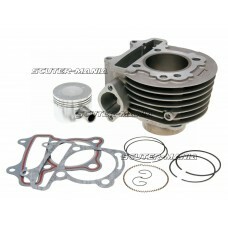 The package c..
Great price cylinder kit for horizontal air-cooled Minarelli engines. 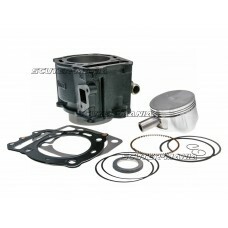 The cylinder kit is identical .. 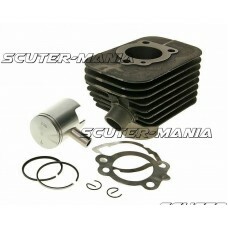 Replacement 50cc cast iron cylinder kit matching the original cylinder at a very good price than tha.. 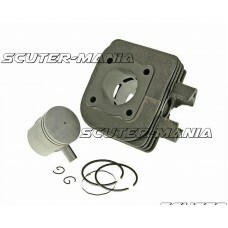 Affordable 50cc cast iron cylinder kit similar to the expensive OEM cylinder making this an obvious ..